Mixed martial artists are all too aware of the term sacrifice. It’s synonymous with their profession. Some are willing to sacrifice more than others, even to the extent of stripping themselves of everything they know and any comfort they enjoy to chase a dream. 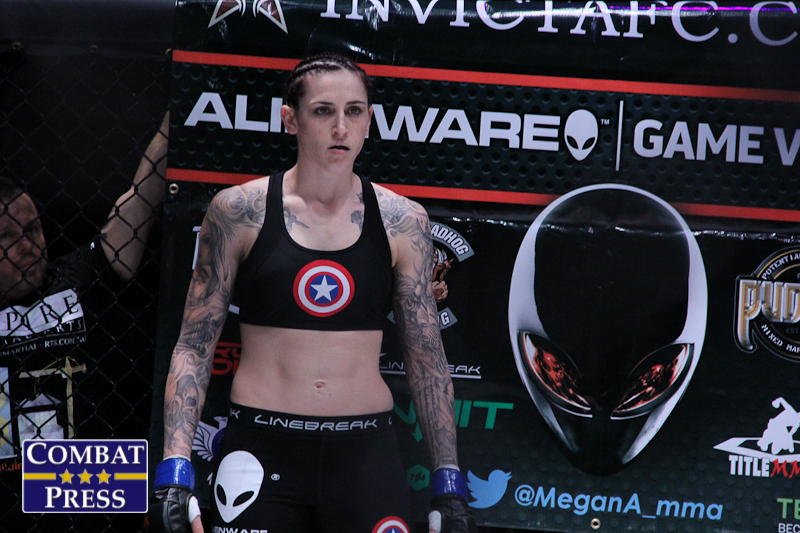 Megan Anderson knows sacrifice. 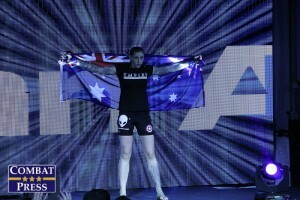 The Invicta FC featherweight is only a few months removed from leaving everything behind in her homeland of Australia. Family. Friends. Virtually all she has grown comfortable with, it’s all been left behind as she takes the next step on her journey. Over 9,000 miles separate Australia from the United States. The time difference is dramatic. When Anderson’s day is coming to a close, the next day is just beginning for her family. She is very close with her parents, especially her mother — or “mum,” as Anderson would say. For the first time, Christmas and New Year’s would be spent be away from her family. This time, it would be spent in a house in Missouri, shared with several other fighters. Anderson is still very much new to the world of MMA. She is still in the learning phase. The idea of being a fighter is not something she had in mind while growing up. 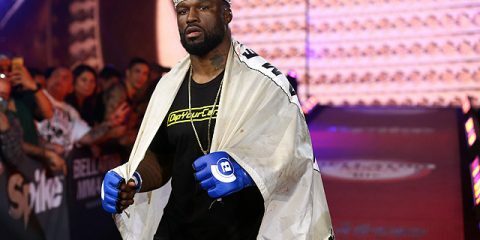 “I used to be one of those people who, back when it was the early UFC days, I thought it was like a brutal sport and it was terrible and I didn’t like it,” said Anderson. “I always wanted to do boxing, but what happened, I went to a MMA gym to pick up tickets to a local MMA fight night. The coach asked me about training and I said no, but I’ve always [wanted] to do boxing and I’d like to try it. 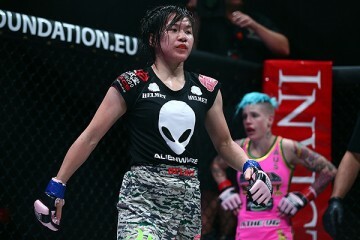 Anderson is now six fights into her professional career and coming off a loss to Cindy Dandois under the Invicta banner that dropped her record to 4-2. It was a tough loss to take, but this was especially the case with this being her promotional and stateside debut. That’s a rare and honest admission for a fighter to make. 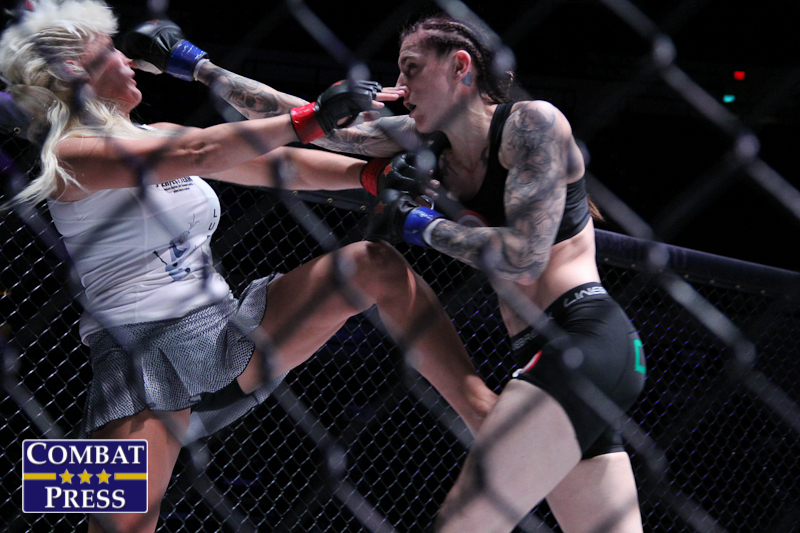 Now, Anderson is intent to learn from her mistakes, inside and outside the cage. It was a moment very few could have fully prepared themselves for. Admittedly, the media obligations and how to handle them were something Anderson was not prepared to handle. Much of Anderson’s frustration comes from the fact that many found her arrogant and disrespectful towards her previous opponent, Dandois. Fighters know that to win back the support of fans, they must start by winning fights. 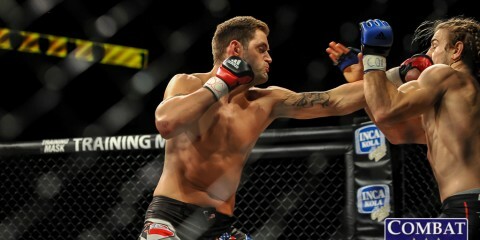 Now under the tutelage of UFC fighter James Krause, Anderson is determined to do just that. She’s excited to show her sacrifice has yielded positive results. Anderson will have the opportunity on Jan. 16 to prove that her fight with Dandois wasn’t a showing of her best stuff. She kicks off Invicta FC 15 against fellow featherweight Amber Leibrock, an undefeated fighter with just one fight under her belt. Anderson knows sacrifice, but on that January night, she’ll be out to prove something to herself, Invicta and the fans. She’ll be out to prove that the sacrifice has paid off. She’ll be out to prove she belongs in the Invicta cage. Could 16 Be the Lucky Number of UFC Fight Night 81’s Dominick Cruz?